Black Contemporary will launch its 2017-18 academic exhibition season with a new project by internationally acclaimed architect and artist Catie Newell in collaboration with Peter Goché, an artist and assistant professor of architecture at Iowa State University. This exhibition/workshop will explore material and immaterial practices within the postindustrial context of Iowa’s agricultural scene. Over the course of three days (Oct. 4-6), “Rural Route 3 (RR3)” will reconsider the space of the family farm and the way it is framed, expressed and understood. 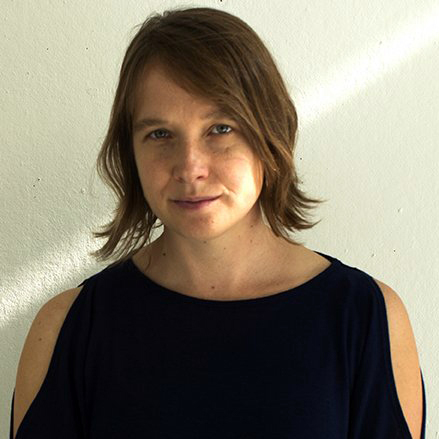 Catie Newell is an associate professor of architecture and the director of the Master of Science in Architectural Design and Research for the concentrations of Material Systems and Digital Technologies at the University of Michigan Taubman College of Architecture and Urban Planning. She is also a founding principal of Alibi Studio in Detroit. Her newest creative practice has been widely recognized for exploring design construction and materiality in relationship to the specificity of location and geography and cultural contingencies. Newell holds a BS in architecture from Georgia Tech and an MArch from Rice University. She received the SOM Prize for Architecture, Design and Urban Design in 2006; the Architectural League Prize for Young Architects and Designers and the ArtPrize Best Use of Urban Space Juried Award, both in 2011; the Cynthia Hazen Polsky and Leon Polsky Rome Prize Fellowship in Architecture for 2013-14; and the Kresge Artist Fellowship in 2017. Prior to joining the University of Michigan in 2009, Newell worked as a project designer and coordinator of Office dA in Boston, where she led the design and completion of four award-winning spaces. Peter P. Goché is a practicing architect, artist and educator who works with the nature of perception and spatial phenomena in developing his material practice. He is a co-investigator/author of “Guidelines for Spatial Regeneration in Iowa,” funded by the 2007 American Institute of Architects (AIA) Board of Knowledge Committee. He has exhibited and lectured on his creative practice and scholarship at conferences and cultural institutions throughout North America and Western Europe. Goché also is the founder and executive curator of Black Contemporary, a rural field station dedicated to the study of spatial phenomena and perception. He holds a BArch and an MArch in architecture from Iowa State University. Prior to joining the architecture faculty at ISU, he taught at Drake University.